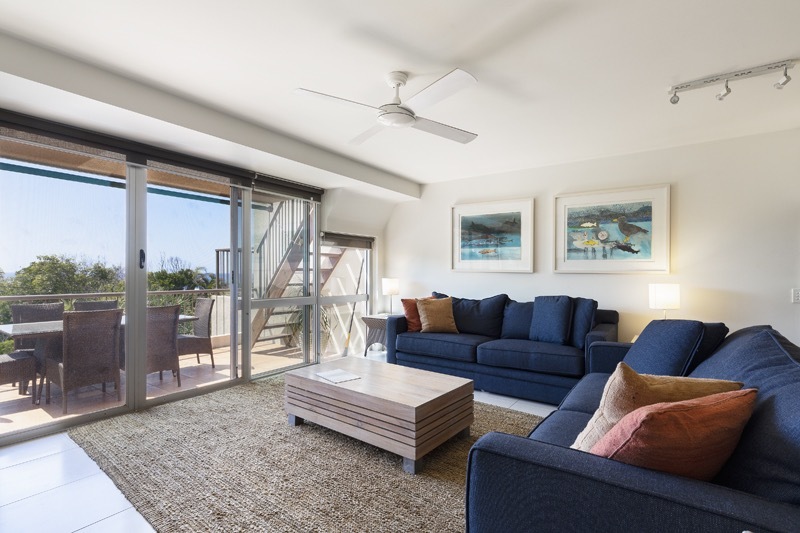 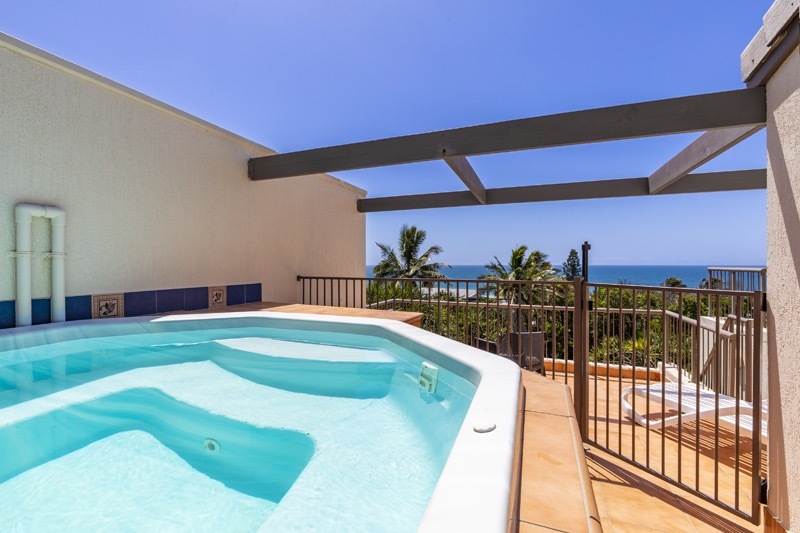 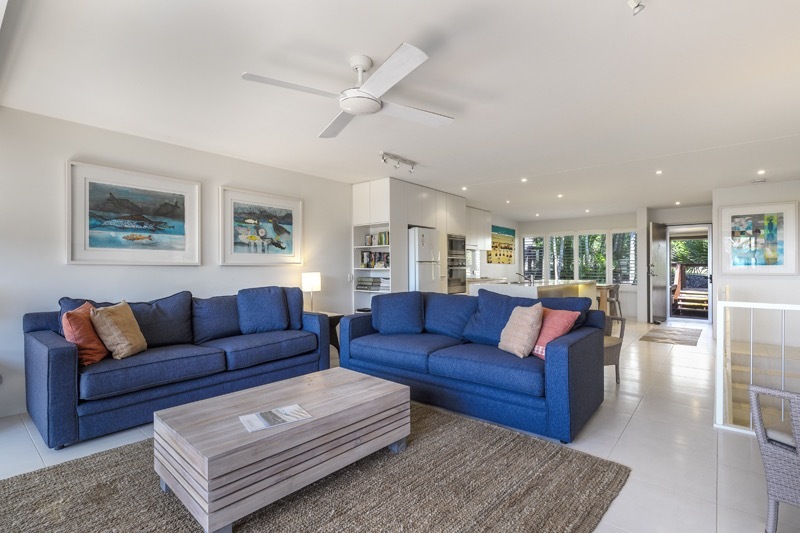 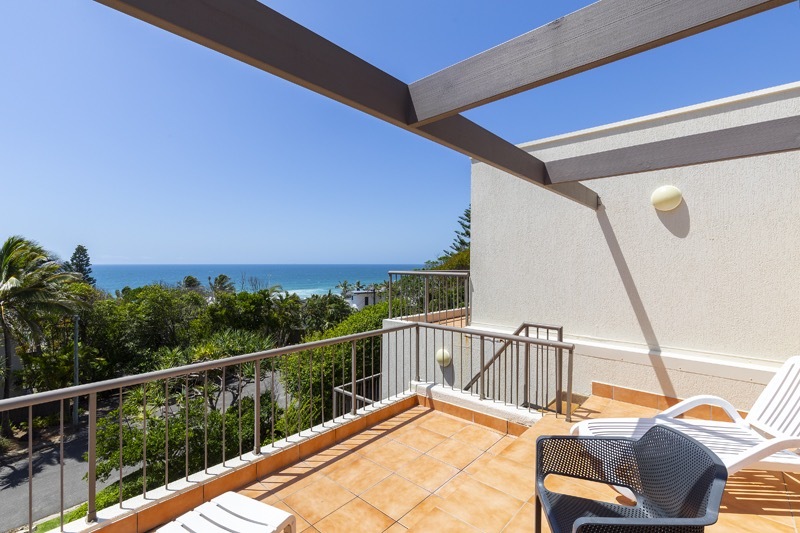 Recently renovated, this three level modern apartment features a rooftop terrace with private spa with ocean views, making it the perfect place to kick back and relax. 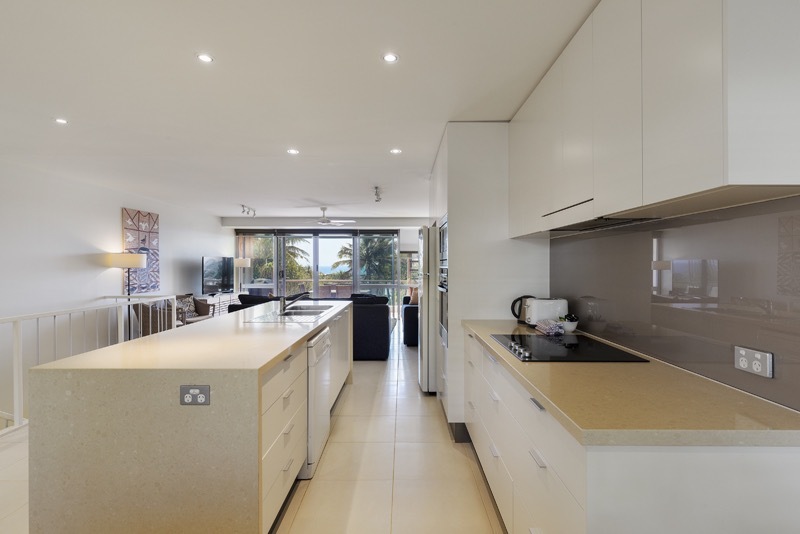 The apartment is comfortable but stylish and incorporates a good use of space. 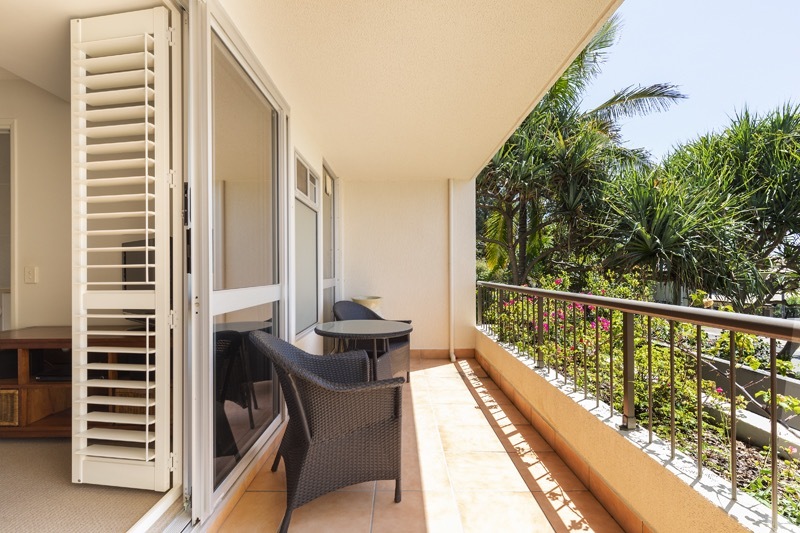 Enjoy breakfast on the east-facing balcony after watching the sun rise over the ocean, or take a dip in the spa after a hard day on the beach. 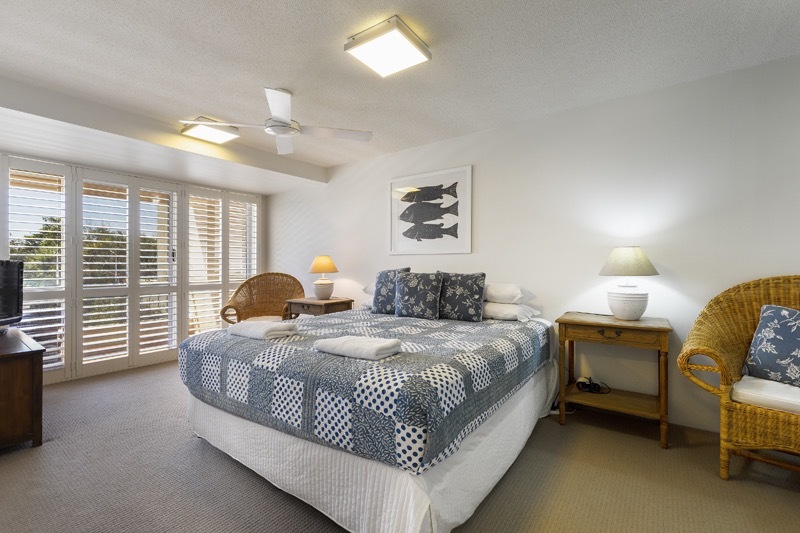 Sleeping up to 4 guests across 2 bedrooms, the master features a queen bed and has an ensuite with shower – it opens onto its own balcony, while bedroom 2 also features a queen bed. 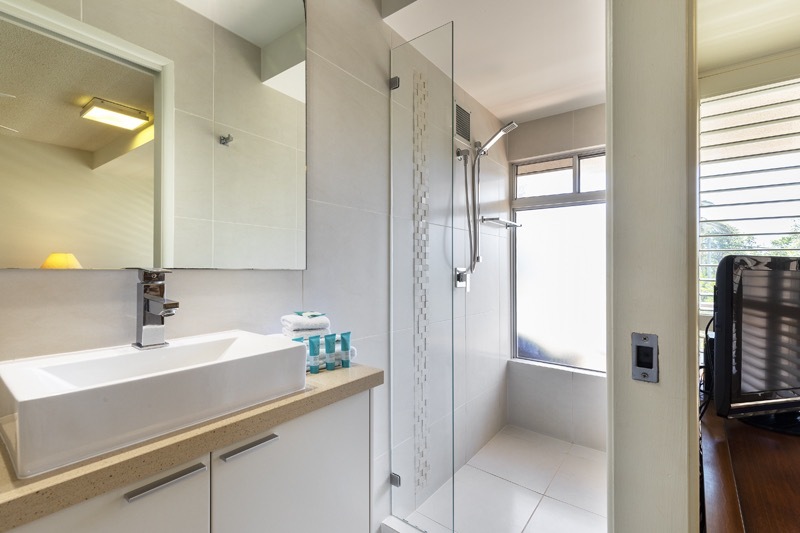 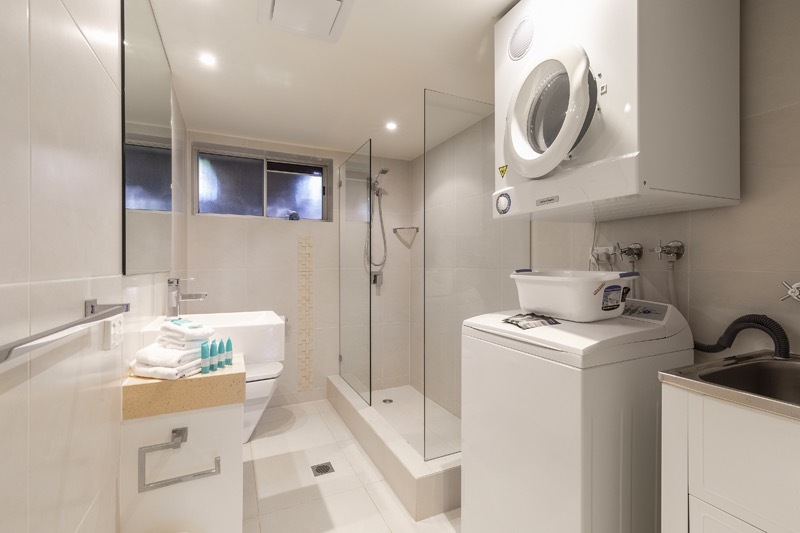 There is a separate 2nd bathroom which incorporates a washer and drier. 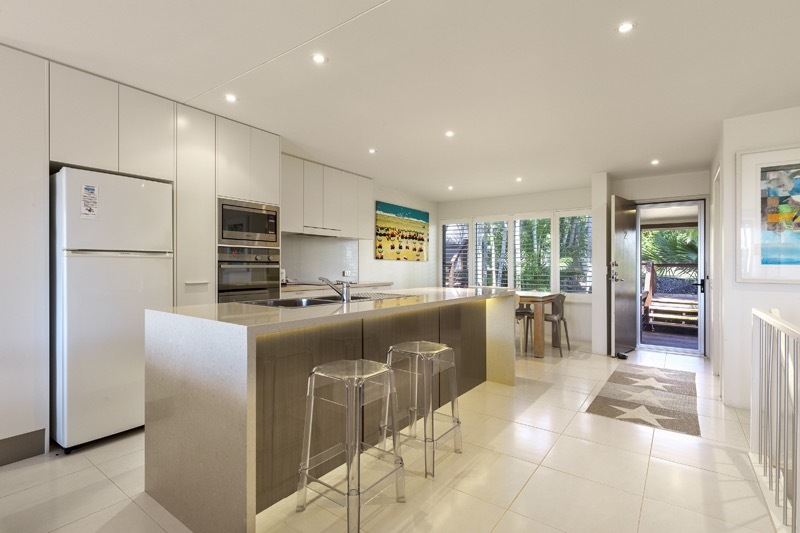 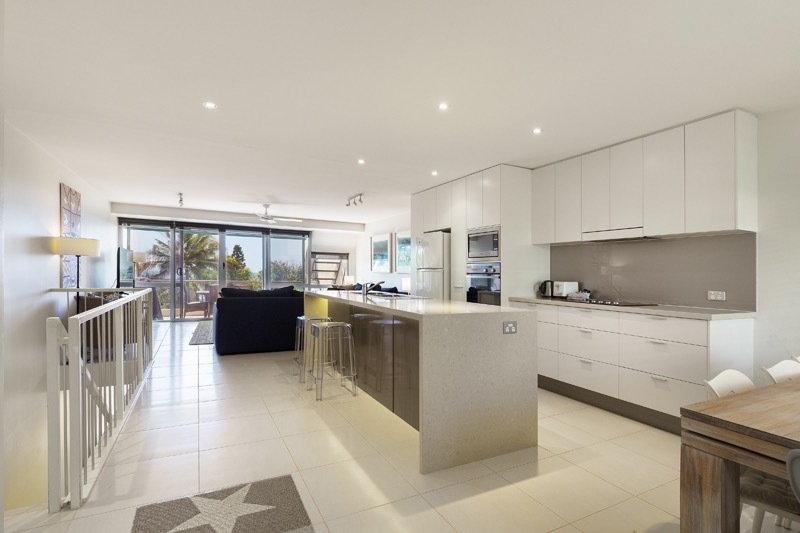 The kitchen is fully-equipped and features stone benchtops and all new appliances – it is a simple but well thought-out space. 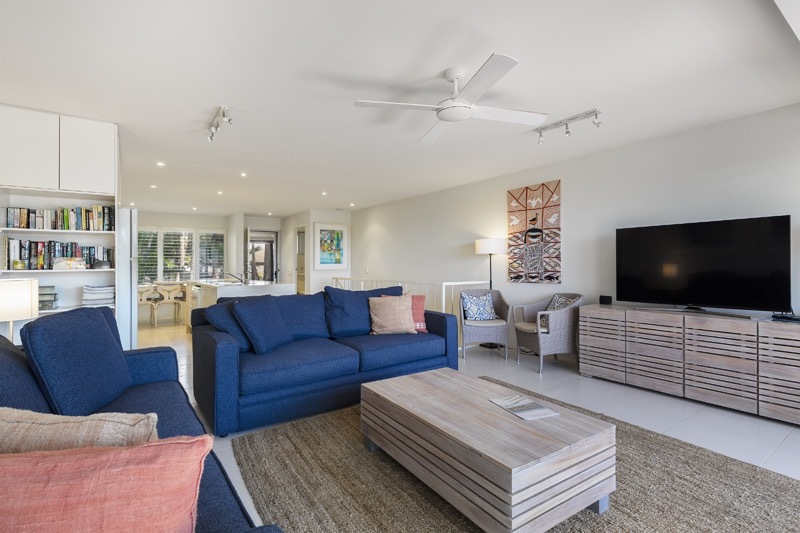 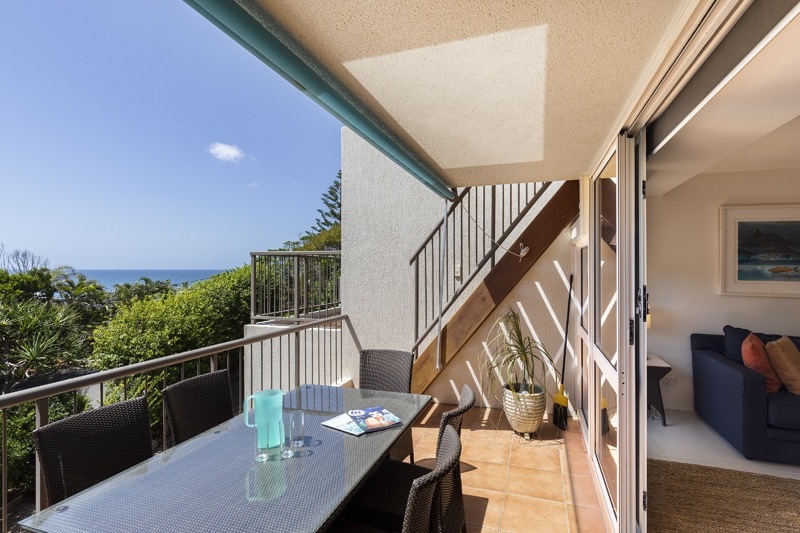 The living area opens out onto the front balcony with outdoor table setting and BBQ for guest use, perfect for alfresco dining and enjoying the refreshing evening sea breezes. 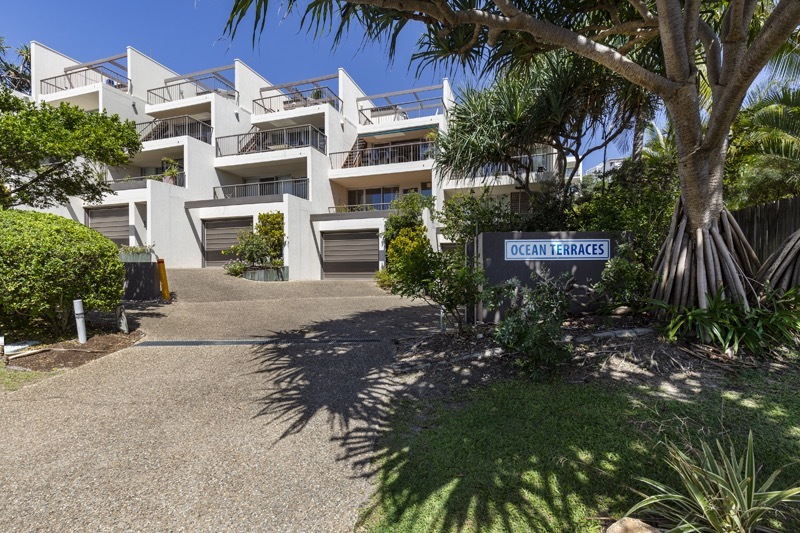 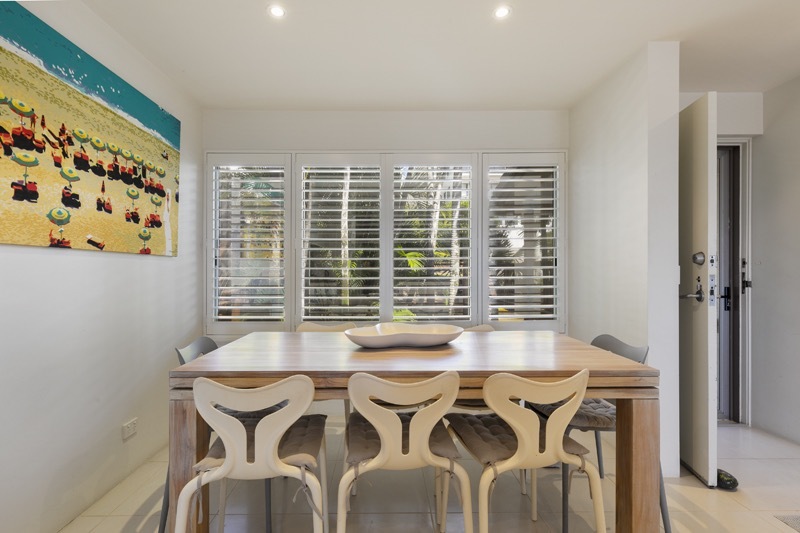 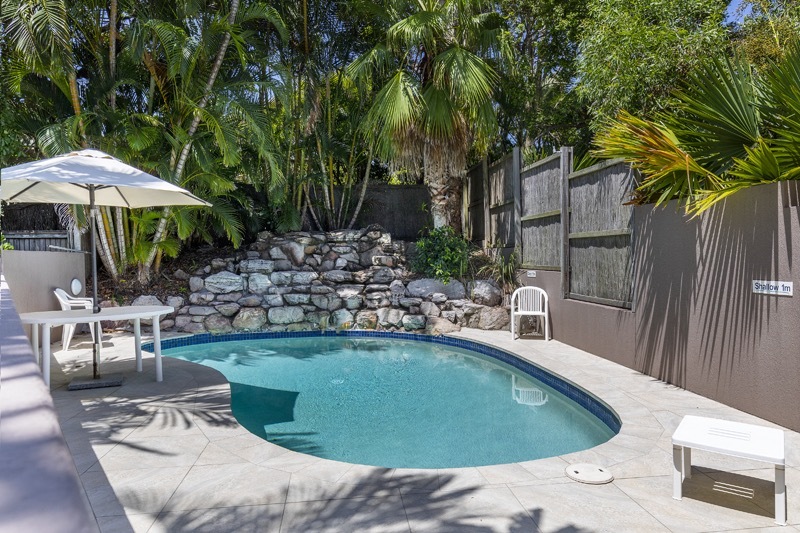 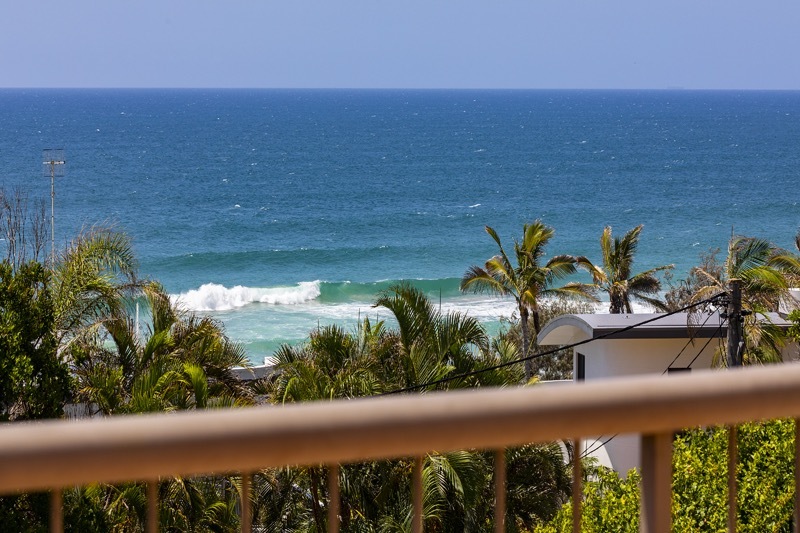 Crank Street is a 2-minute walk from the main Sunshine Beach Village with a good selection of cafes and restaurants to choose from, including the very popular and family-friendly surf club. 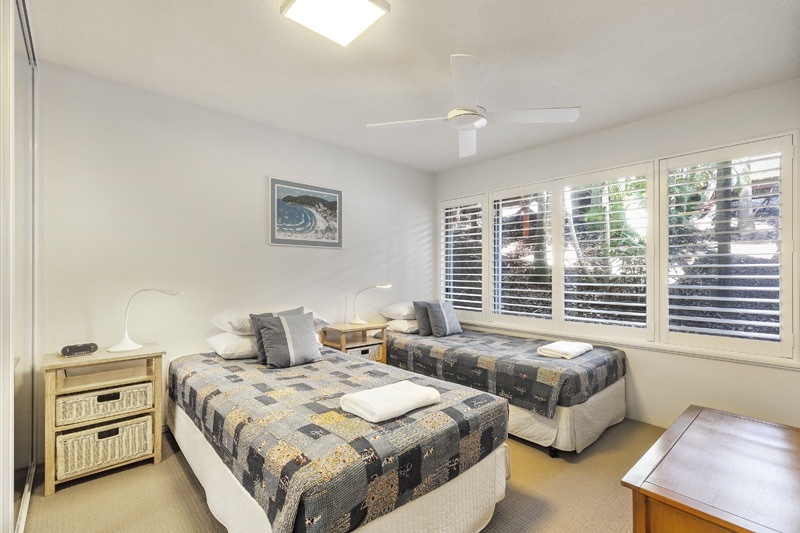 The patrolled beach is a short walk across the park in front of the apartment.